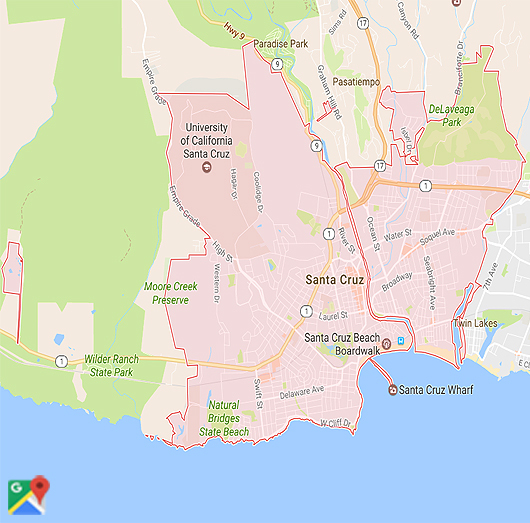 Artificial Grass in Santa Cruz, California & Beyond. Do you want a bright, green lawn that doesn’t require constant upkeep? Know of a school district in need of a low-cost football field surface? Maybe you’re just looking to save money on water bills. With artificial grass in Santa Cruz, CA, you can achieve all these goals and more. Watersavers Turf can help. We’re the premier suppliers of artificial grass for Santa Cruz County, CA, carrying everything you need for your project. Along with more than 40 different styles of turf, we have all the tools you’ll need to install and maintain it. Are you a contractor hoping to get in on the business of installing artificial grass in Santa Cruz, CA? We offer free classes to get you up to speed. Need a contractor for your project? We’ll gladly refer one. Listing all the benefits of fake grass in Santa Cruz, CA is no easy task. People who make the switch enjoy a gorgeous lawn, low maintenance, and reduced bills. That’s because, unlike real grass, you don’t need to water our products. While a real lawn requires frequent mowing and raking, fake turf requires only minor upkeep. The benefits of fake grass in Santa Cruz, CA, also include saving the planet. By using less water, you’ll conserve a key resource. That means you get to share the benefits of fake grass in Santa Cruz, CA with the entire community. In fact, switching to a fake lawn could save you about 30,000 gallons of water each year. You’ll also save up to $2,000 on annual bills. That extra money can pay for a major home improvement project. Our Annual Cost Savings Chart will give you a clear picture of how much you’ll save over time. We strive to offer the safest products we can. That’s why we neither sell nor support items with crumb rubber infill. Our turf goes through an artificial grass testing process to ensure it meets strict quality standards. It’s certified non-toxic, lead-free, and is resistant to both fire and UV rays. We even test our products to make sure they meet official FIFA standards. At Watersavers Turf, offering great benefits for lawn replacement in Santa Cruz, CA is one of our main goals. We’re the only supplier in the region to offer an 18-year residential use warranty (10-year commercial use). As more people look to reduce bills and conserve resources, demand for synthetic turf has risen. Along with it comes increased demand for contractors who offer lawn replacement services. Getting your crew involved in this market before the competition could earn you a lot of revenue. To help contractors learn this skill, we offer free classes. See our class schedule to find the next session you can attend. No matter what kind of turf project you have planned, we’re sure to have the perfect surface for your needs. Of course, browsing through more than 40 styles of fake grass can be overwhelming. Some people find it hard to decide on a style for their lawn replacement until they’ve had a chance to see what it looks like on their property. We want to make the process of buying turf as simple as possible. To help you decide, we offer free large 1’ x 1’ samples. Stop by one of our SF Bay Area locations and bring them home with you. By testing different samples, you’ll be much more confident in your final choice. Not from around here? No problem! We offer to ship to any spot in the Continental United States. If you’re a contractor, we’ll even ship our samples free. Keep in mind that replacing a lawn is just one of many ways to use our products. With fake grass, you could install anything from a garden path to a mini-golf course in your backyard. People across the globe have come up with countless ideas for unique turf projects. Read about them in our blogs and newsletters. Maybe they’ll inspire you to dream up some ideas of your own. Best of all, our pricing is the most competitive in Northern CA. To get a sense of what your project will cost, visit our website for a free estimate, or call 844-974-8873. No matter what type of property you own, you’ll find many uses for our residential artificial grass and commercial synthetic grass. Maybe landscape design is a hobby of yours. You already have an idea of how your dream lawn should look. Sadly, it’s not easy to realize your vision. You need to constantly mow, water, and seed your grass to ensure it matches your vision. Even if you do, there are still factors you can’t control. Drought can ruin your lawn fast. Heavy rain can turn it into a sloppy mess. Our products offer an ideal solution. They require almost no upkeep. You never have to water them. Fake grass stays green during droughts and dry during storms. This allows you to truly design and install a lawn you can be proud of. Some people use these products to transform their entire backyard into a green paradise. Others install it in their patio areas, creating bright, green lounge spaces. Others purchase extra cushions and install them beneath the turf. This keeps children safe when playing. Maybe you just want a surface that can stand up to your backyard football games. All this is easy with synthetic turf. Again, you already know that our products can save you money by keeping your water bills low. For business owners, they may even help you make money. After all, the way your property looks plays a major role in your success. Shoppers won’t get a good impression of a store if the lawn is ugly. They might even be so turned off by the look of your property that they pass right by. Switching to a fake lawn will solve this problem. You don’t even need to own a store to take advantage of its benefits. At a café, synthetic turf allows owners to install serene outdoor dining spaces. Hotel owners use it to convert rooftop space into outdoor bars. Music venue owners expand their lawn seating with fake grass. Some office managers find that employees who have a calm, green area to relax in during breaks return to work much more energized. Curb appeal can make or break a business. Make sure your lawn attracts guests, instead of driving them away. It’s not hard to come up with uses for artificial sports turf and pet grass products. The truth is, real grass is a poor playing surface. Athletes need fields that stay even, flat, and dry. Grass fields don’t make the cut. They get rough and uneven after intense games, boosting the risk of injury. Rain makes them slick. This often results in canceled games and practices. Synthetic grass is different. It dries quickly, so rain is rarely an issue. It also stands up to the wear-and-tear that usually comes along with game play. Many school board members find that it’s the best choice for a budget-strapped district. Parents are happy the playing field is safe. Students are just happy they have a surface to play on. Everyone is happy that upkeep costs are low. Our pet turf is also very useful. Dog owners know it’s important that their little buddy gets exercise. For many dogs, this means running around in the yard. The problem is, they can do a lot of damage to a lawn after a while. Dogs also tend to bring a lot of mud, dirt, and debris back inside with them after playtime is over. Trying to keep your house clean and your dog happy can seem like a futile goal. Unless you switch to fake grass, that is. With a fake turf dog run, your dog will have a safe play area, and you’ll have a clean property. Kennel owners can even attract more business with a dog run. Need to find turf tools and turf accessories in Santa Cruz, CA? We make that easy, too. For contractors, we offer the EasySeam device. This tool allows you to quickly bind turf sections without glue. You’ll finish jobs faster than ever, allowing your crew to take on more work. For landscape design fans, we have boxwood panels. Install them on your outdoor walls to add extra greenery to your home. Looking for golf flags? We’ve got them. No matter what turf project you’re working on, we have the tools you need. See for yourself in our full catalogue. Spend just a few minutes in the city, and you’ll agree: there are plenty of things to do within Santa Cruz. There’s the world famous Beach Boardwalk. Here you can ride all sorts of carnival rides and look at the ocean while doing it! If that wasn’t enough, there’s the downtown area which is well-known for its businesses, eateries, and outdoor performers. Water sports fans looking for things to do within Santa Cruz have access to great surfing, swimming, and diving. 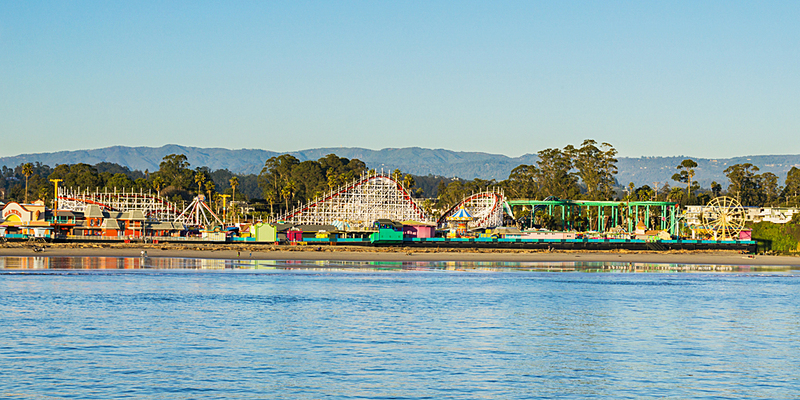 Looking for culturally-stimulating things to do within Santa Cruz? The city is home to regular Shakespeare performances, a film festival, and art shows. Don’t leave the area without visiting a nearby Watersavers Turf location. Ask us about our free samples, free delivery offers, and free estimates. Not planning on being in our part of the state anytime soon? No worries. Feel free to contact us online, or call 844-974-8873.